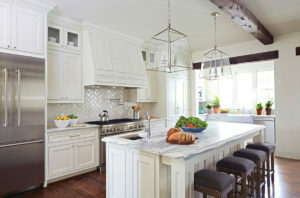 The island has become a mainstay in today’s kitchen designs. 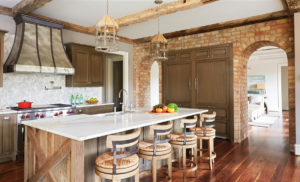 With both form and function, the island boasts endless possibilities from prepping and serving food, offers an abundance of cabinet storage, and creates a place to house appliances. And let’s not forget extra seating. If your island has become the catchall for stacks of mail and the car keys (we are all guilty of this! 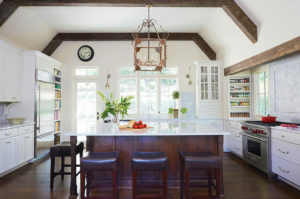 ), take a look at these drool-worthy kitchen islands which may just ignite and inspire you to channel your inner Marie Kondo and toss things that don’t bring you joy.